Today was the day I’ve been looking forward to for a few weeks. 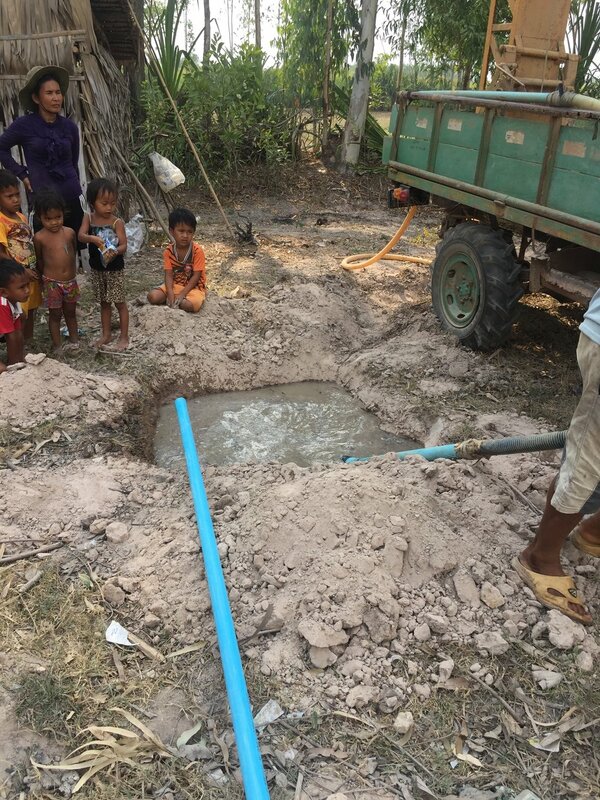 I got to head out to the Svay Rieng province and be a part of a household well drilling. I went there with Savuth, who is the coordinator of the Svay Rieng Province. Once we got to the office there, we hopped on a moto and followed the drilling rig truck out to the home. This well will be shared by two homes that are close together and will provide five children and four adults with clean drinking water. While I was there, I talked with Chuum Kian, the mother of one of the houses, and she expressed how amazing it is going to be to have access to clean water right there at the house. In the past, she had to send her young son far down the road to get water from another well and carry it all the way back by hand. So this will truly be a blessing for the whole family and their neighbors. One thing that was very interesting is how much attention the drilling rig and crew brought to the house. By the time Savuth and I left, there were over twenty people at the house, all talking and watching the workers drill the well. Community is very important to the people of Svay Rieng, and they do what they can to help each other out. So I know that the well they drilled will serve many more than just one family. It has the power to bring happiness and hope to many more.